I guess when you speak, Manos listens. 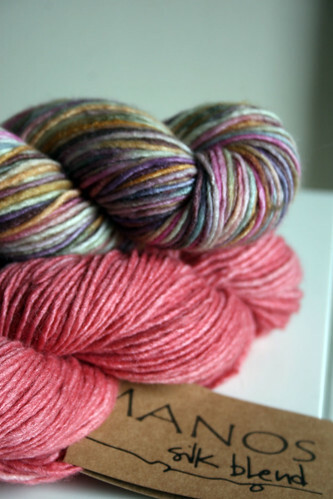 Imagine the softness of Malabrigo in the bright beautiful dye of Manos. Omg. Not sure if I can contain myself. My LYS, Patricia’s Yarns just got it in and I nearly tried to take it all home. 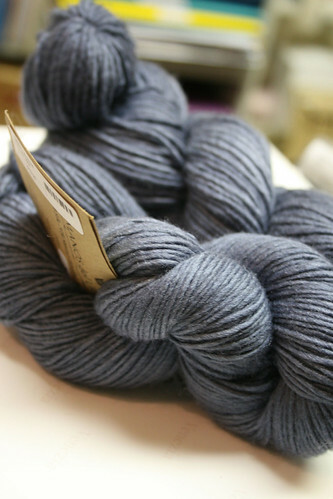 It’s a silk merino in dk which has now triggered my mind to search what patterns to make. I have the Handknit Holidays book and am eyeing the Stained Glass Scarf that I’ve wanted to make for so long now. I also see a nice shrug, gauntlets, perhaps another Shifting Sands, or head warmer. And boy is this yarn is SO soft! I cannot lie that although I love using Malabrigo I was sad that I felt I was leaving Manos behind. But oh boy Manos, you sure did an "Nah ah, girl, you ain’t seen nothin’ yet!" They only have a select few (beautiful I might add) colors at the moment but I’m sure this is the direction they are going and I’m loving every bit of it! Way to add the fabric softener, Manos! Beautiful! I’d better head over to Patricia’s! Oh my – I’ve been looking for a DK weight yarn to make a sweater with, and this looks wonderful! So beautiful – can’t wait to see what you do with it! Great! Another yarn to stalk and hunt and yearn for. Hopefully I will find it soon! ooooh – that scarf is stunning- and in a yarn like that – heaven!